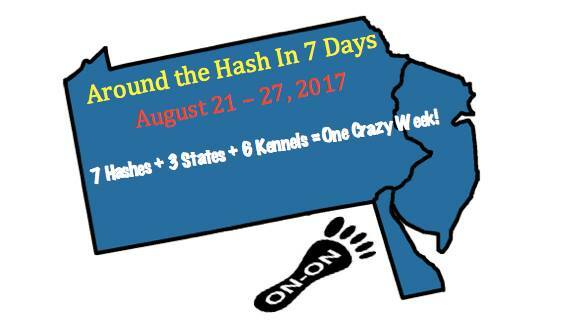 Reading Hash House Harriers: Around The Hash In 7 Days! Prepare yourself for one crazy week! Details and times to follow. Crash space will be available. Special Patch if you do ALL SEVEN! Carpooling is encouraged.